A lot is being said about Clint Eastwood’s latest war piece, American Sniper. 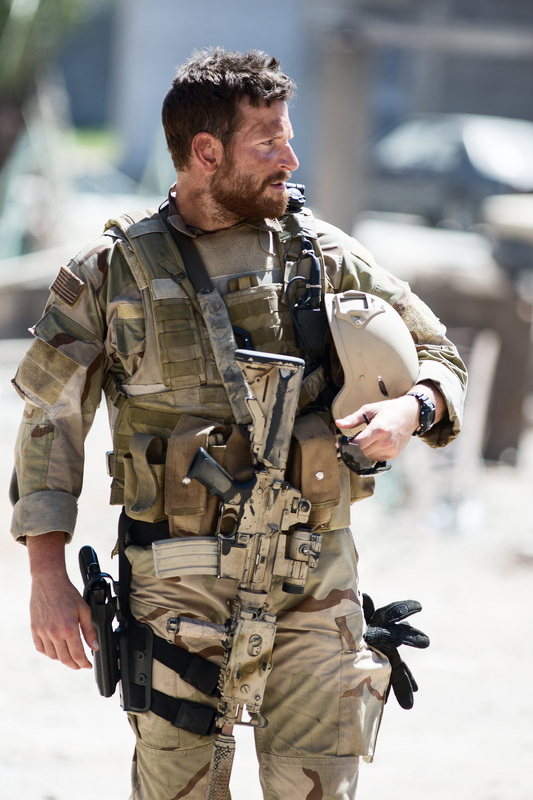 Based on true events of Navy SEAL Chris Kyle’s (Bradley Cooper) life and his experiences in Iraq as the military’s most lethal sniper, the film shows not only how well he can hit, but also his emotional detachment from humanity. Some are calling it conservative propaganda, others the best movie of 2014. And many film fans are annoyed the character study snatched six Academy Award nominations last week out of the blue over their desired choices. Eastwood has shown a lot of pessimism and caution on the subject of war on screen before. With Sniper, it’s less black and white and not in a completely realized way. It is clear Eastwood and Cooper were racing to get Kyle’s story released in time for award season, with poor CGI and practical effects as the most obvious result of the speedy production. It is also apparent that Eastwood might have been battling conflicting input from both Kyle’s family and the studio. Some scenes feel as if the filmmaker’s building up a stark, anti-war piece, while others quickly switch over to a somber, patriotic mood by the end, distorting Kyle’s character development. Cooper does give a fine performance despite the movie’s lost tone and message, and clearly had a passionate dedication to the role. In the end, Eastwood would’ve benefitted from more time in production and the film’s length. Weak article Megan! Stick to painting your nails if your good at that.